lately i've been a bit tardy to the party over at the Girls Drawin Girls blog's weekly theme. i don't mean to, but with personal life intruding more and more into work life, i find myself with less and less time to do things for fun. so, in true Peng fashion, this is my sketch for last week's GDG blog's theme of flowers. 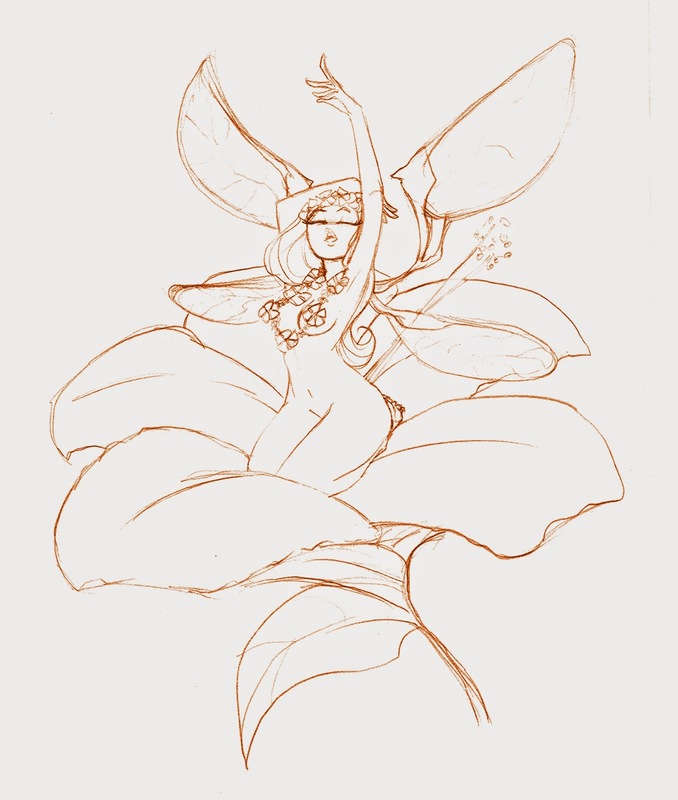 it's very much inspired by the fairies on Disney's Fantasia where they kinda wake up as flowers bloom. but i added a lot more flare to this one with the swirls on her body and the obviously different wings. 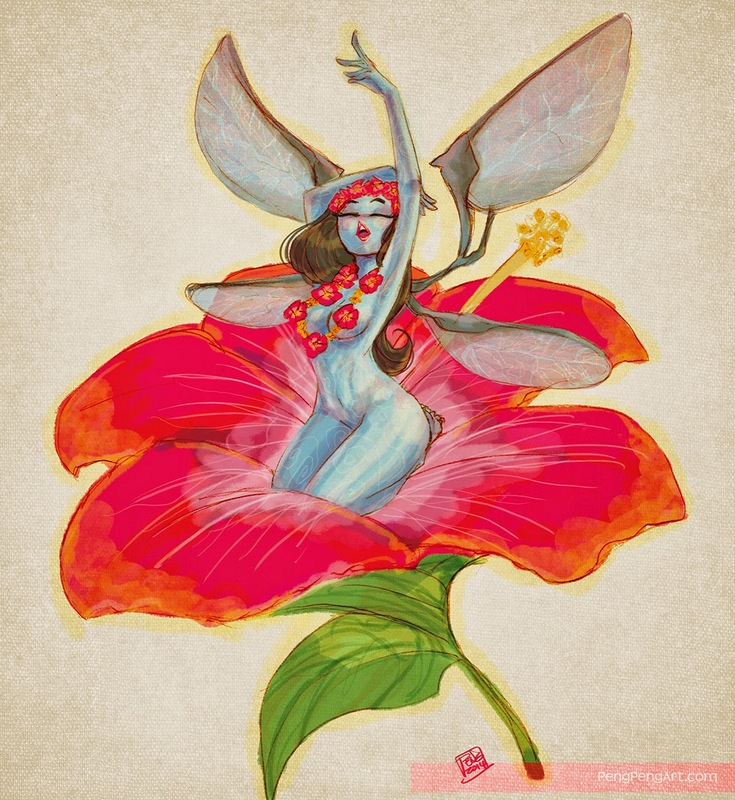 and i was originally gonna color her like a polynesian fairy with a caramelly tone on her skin but decided to go with blue to contrast the bright pink hibiscus. in hindsight i kinda wish i went with my original idea but oh well! i was also trying out some stock patterns/textures i got online, this one in particular being one of the canvas textures i got. but i must not be doing it right cuz i don't think i really like it. still, i figured i'd keep it so i can see what i don't like about it as i continue to experiment with them. i'll keep working on it though, maybe one day i can get it lookin the way i want. and yes, it's in the same no-nose style as my octo-pie from before. cuz i think it's cute, that's why!